It was Henri Stierlin through his pages of Hindu India (Taschen's World Architecture) who got me to see the ancient temples of India from a historical perspective. His detailed technical illustration of the old architecture explained the beauty behind the great stoned pillars and the influence the ruling kingdoms had on the designs. He not only captured the beauty and the soul of the place spot on but also led me on a journey to explore and appreciate this precious heritage for myself. One of the magnificent temples which I have recently visited, and which was also illustrated in his book, is the Thiruchendur Sri Subramnayeswara Temple. The temple is located in Thiruchendur, a small coastal town under the Panchayat Raj Administrative system. I had been here on other occasions when young with my parents, years before I got this book. 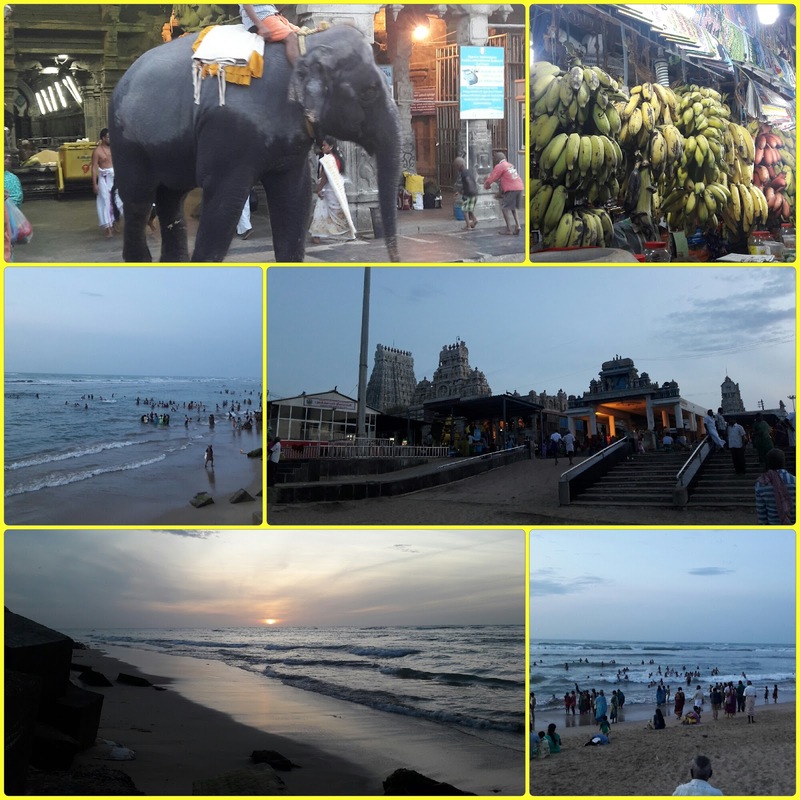 Getting to Thiruchendur is easy – there are excellent overnight and day-passenger trains and bus services from all major cities in south India. There is also a variety of accommodation, including free ones offered by independent organization groups. Thiruchendur is a small town so, getting around is easy – by foot or an auto (a three wheeler taxi). It’s a homely place, people are just so lovely and welcoming. Just as they welcome us unconditionally, we welcome the other creatures who share the walking space with us – the beautiful long-tailed (called a train) peacocks and peahens, working cows, temple elephants and the mischievous long-bearded goats. If you are patient, you may even see a peacock dancing. There is a saying that peacocks can feel the rain coming and their dance is a sign to the rest that rain is to come. When that happens, hold on to it, dance internally to that beat. The temple has a seven-tier high tower gate (Gopuram), which was built facing the seashore (Bay of Bengal) by saints. Early inscriptions found here are believed to date back to 875 AD. In 1649 the Dutch briefly occupied the temple during their conflict with the Portuguese. Photography is not allowed inside the temple, but the picture-perfect sun rises over the horizon are not to be missed. If you think you’d be alone at the wee hours, you’d be surprised. Accompanying you would be thousands of others, without cameras or cellphones, who are up early to say thanks to the sun for their existence. It’s a pleasure to just be there with them to feel that greatness and say thank you. Coffee is always a treat in India. 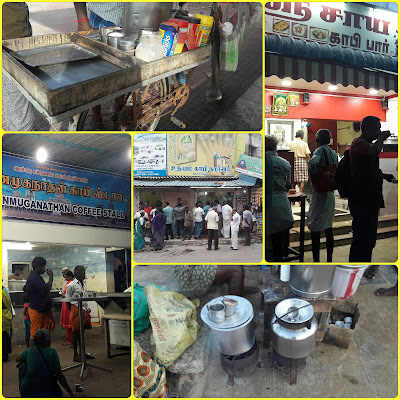 In Thirujendur, try one from Mani Iyer’s. We usually have our meals and snacks here. The coffee goes well with a tiffin meal such as dosa, and let me inform you, they have the best rava dosa I have ever had. As for the coffee, the key to a perfect one at Mani Iyer’s is a strong white. Sugar is usually added in. If you want less or don’t want any sugar, inform them when ordering. 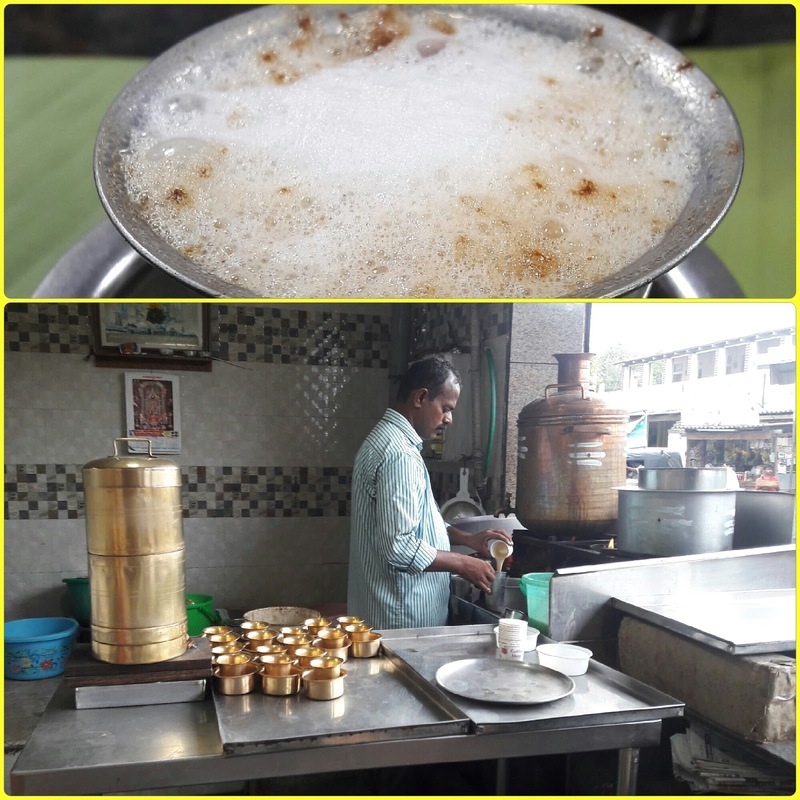 Traditional coffee in India is served hot, white and with sugar. In my opinion, the style is similar to a ‘latte’ because of the way its prepared - hot milk with a coffee decoction added. The coffee amount is adjusted for its level of strength. Tried 'em all. Its your turn now. 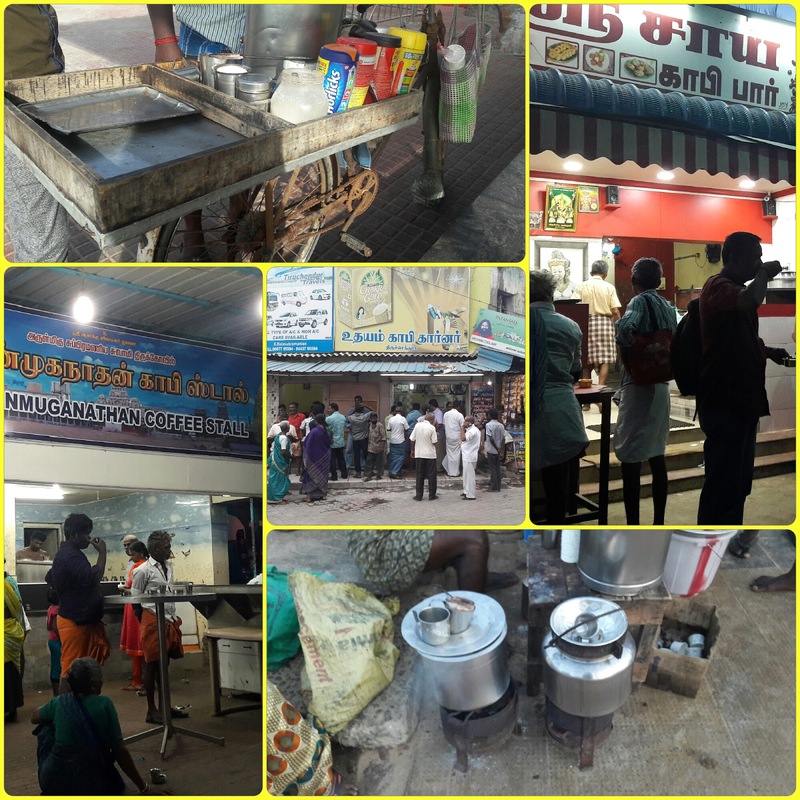 Hot drinks are appreciated by most in South India. It is common to see small vendors selling coffee and tea at their portable setups. I like these a lot. Their earnest effort to make a living in any small way tells me that the problems we face today are just a little test that we need to overcome now to handle the different opportunities we are handed over tomorrow. I have tried some of their coffee, I can taste that passion so strongly and I hope you do too. A self-guided tour through dark temple corridors started by looking through the pictures of Taschen's world at Bangalore Airport where I picked this book up (back in 2000). Now it’s travelled a world beyond with me. Those ancient bells chime as the sun rises, it’s another day. The ancient structures are speaking. Enjoy your coffee to the sounds of the ocean and to the beat of the rain. He made it just right. TQ!